Author's note: Though I have no intention of spoiling anything of great importance in this post, there really isn't any reason for you to read this if you haven't played the previous games. Go experience the nuances of this trilogy for yourself, and then come back and discuss it with me. After thoroughly enjoying Mass Effect 2, I rolled right into Mass Effect 3. I was excited to direct the continuing epic of Jack Shepherd (disappointed Lost fans, represent! ), but I also knew that this would be the last chapter in that epic. The game makes no effort to hide that fact from the player. From the first few minutes of the game, you know that Shepherd must find a way to save the galaxy or die trying. 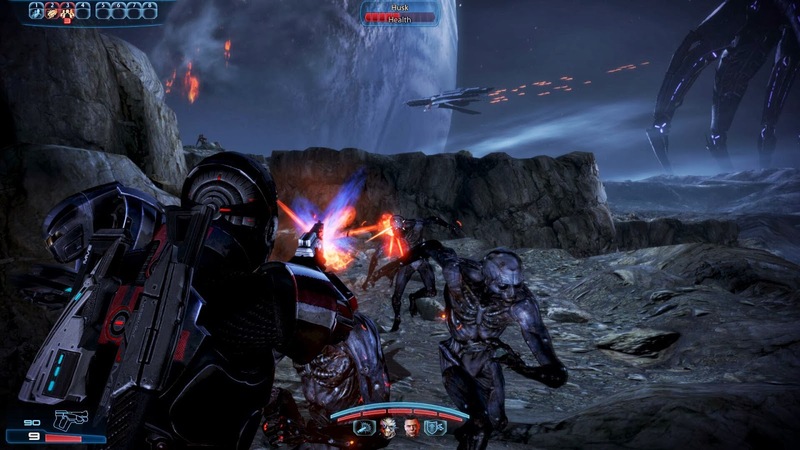 Mass Effect 3 begins with the Reapers making a pretty surprising return. They lay siege to Earth, and Shepherd is forced to flee the planet as humanity fights for its continued existence. Apparently, the same scenario is playing out across the home worlds of all of the races of the Alliance. 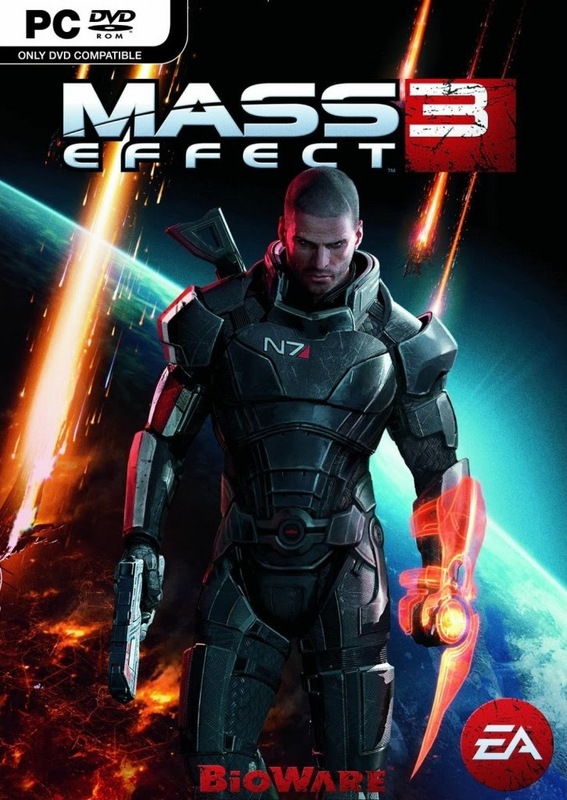 And as much as the narrative of Mass Effect 2 is about pulling together a team of individuals to fight the Collectors, Mass Effect 3 is about Shepherd's quest to unite the disparate peoples of the galaxy to fight the Reapers. The stakes are as high as they can be. Yet, there is always enough time for the characters that you've grown to love to have important moments with one another. One of my favorite of these moments happens when Garus and Shepherd finally settle the question of who is a better shot; of course, your version of this moment may have played out differently than mine... or perhaps you didn't have it at all. I love that this game is a little bit different for everyone who plays it. I love that the decisions I made in the first two games effect what happens in this one. I love that the game takes breaks from its grand narrative to remain deeply personal. Mass Effect 3 is a wonderful story. I wonder how Mass Effect 3 would be remembered if the narrative was propped up on top of a crappy set of mechanics. My guess is that it would be the sort of game that is spoken of in hushed whispers among the games-as-art crowd, to which you could probably accuse me of belonging. But that is hardly the case. 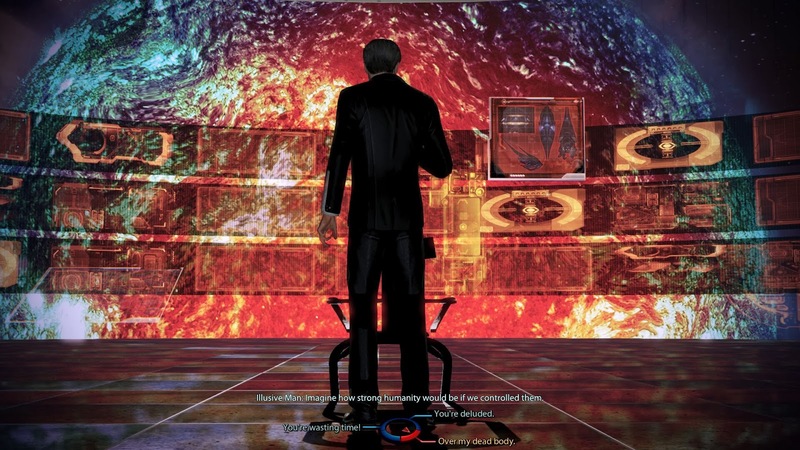 The moment to moment gameplay that was nearly perfected in Mass Effect 2 carries over into the final game. It's really fun to play, and that's important for a game like this. It's the video game equivalent of what J. J. Abrams accomplished—or tried to accomplish depending on your analysis—with the Star Trek reboot. There's a pretty decent science fiction story to be had here, accompanied by plenty of fireworks for those who don't much care for narrative. Then there is the matter of an ending. A large contingent of the people who played Mass Effect 3 were very disappointed by the ending of the game. I can't say that I'm surprised by this given how difficult it must have been to weave together all of the possible story paths into a few endings that make sense. In the end, the available solutions to the technological threat were not what some of the audience wanted. This brings to mind a distinction that I often try to make when dealing with narrative. What we want for our protagonists is not always what the storytellers decide to do with the stories that they craft. This distinction is difficult to make within this particular medium because of the interactive nature of video games, especially in a game with as many varied story paths as Mass Effect. And though I directed my own version of Shepherd's story, the final moments of that story are as much BioWare's as they are mine, and I found the ending to be quite effective.